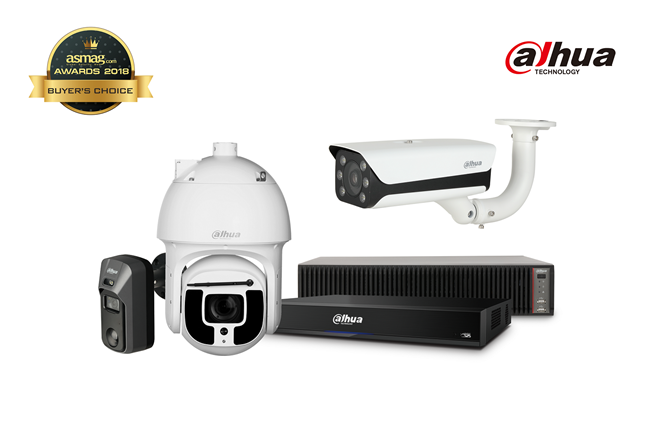 HANGZHOU, China / March 8, 2019 Dahua Technology, a world-leading video-centric smart IoT solution and service provider, was recognized by a&s’s 2018 .Buyers' Choice Awards with three products in the category of Network Cameras and two products in the category of NVR & DVR. Among Dahua Technology’s winning products, four of them are Dahua AI series and one comes from the patented Dahua HDCVI family. Once again, Dahua Technology affirmed the strength of its cutting-edge products and technologies as well as its global industry leadership. Held annually, Buyers’Choice Awards by a&s showcases the security industry’s most influential and popular products of the year recognized by global security buyers and system integrators. For 2018, Dahua 2MP Starlight Bullet Network Camera (IPC-HFW8242E-Z4FD-IRA-LED), Dahua 4K 40x Starlight IR PTZ AI Network Camera (DH-SD8A840WA-HNF), and Dahua 2MP HDCVI Active Deterrence Camera (HAC-ME2241C-W) stood out from the Network Cameras category, meanwhile, Dahua 2U 8HDD AI Network Video Recorder (DHI-IVSS7008-1T) and Dahua 16 Channel Penta-brid 4K 1 U Digital Video Recorder (XVR8216A-4KL-I) were distinguished with awards from the NVR&DVR category. 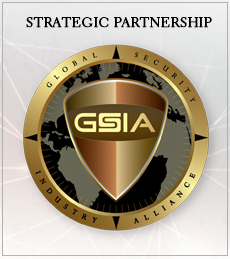 Fueled by increasingly niche demands, global need for high-quality security solutions as well as advanced technologies is booming. Today’s security buyers are looking for versatile products not only featuring product adaptability, compatibility, high-resolution images, but they are more concerned about face recognition, perimeter protection and other AI technologies. As such, buyers are increasingly turning to Dahua Technology and its comprehensive array of integrated cameras, systems, and technology-supported solutions to satisfy their increasingly rigorous demands. This face recognition AI network camera adopts high-performance smart chip with deep learning technology which can provide high-precision face image snapshot. Also, this product supports real-time face detection, face attributes analysis and face image database management. Featuring Dahua Starlight Technology, this camera is ideal for applications with extreme low-light conditions. This model is the first AI series PTZ camera of Dahua Technology that adopts the most advanced AI technologies, including deep learning algorithms that primarily target people and vehicles, which provides higher flexibility and accuracy for end-users. Offering advanced features such as face recognition, metadata, perimeter protection, it is ideal for various scenes such as large public area, key traffic area as well as outdoor venues. This PIR model is an indoor/outdoor dual detection camera which uses both video and infrared sensor to achieve accurate motion detection. It also features active deterrence which warns off intruders with white light and siren even before users are aware of the incident. This camera is an ideal choice for applications which require intrusion protect and video verification, such as courtyards, offices, warehouses, stores, etc. Integrating intelligent perimeter protection, advanced face recognition and powerful metadata search, XVR8216A-4KL-I is applicable to numerous industries ranging from retail to banking and real estate. Holding Dahua Technology’s patented HDCVI signature technology, it supports long distance transmission, seamless upgrading, and IoT into analog monitoring — all while maintaining perfect 4K resolution over coax. As a star product of deepsense series, DHI-IVSS7008-1T combines video review, video store and playback, and video intelligent analysis in a single device. Supported by video image structuring and face detection technology, as well as advanced GPU, it can recognize a targeted person in a short time, making video search more efficient and improving the accuracy of real-time alarm. As the demand for safety around the world continues to boom, Dahua Technology aims to continue embracing groundbreaking technologies and innovating next-generation security products and solutions for the market. With a mission of “Enabling a Safer Society and Smarter Living”, Dahua Technology will continue to focus on “Innovation, Quality, and Service”, to serve partners and customers around the world.